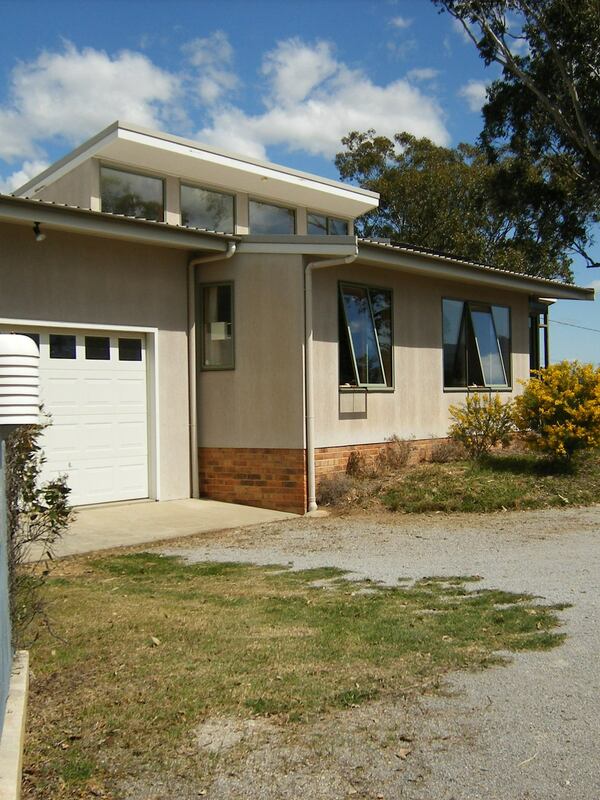 My house at Manilla, NSW, is in a climate with temperatures that are extreme, but comfortable on the average. To reduce extreme temperatures indoors, the house contains more than a hundred tonnes of thermal mass within a shell of insulation. The “thermal mass” is the materials, such as bricks, stones, concrete, earth or water, that have high thermal capacity (See Notes below): they take in and give out a lot of heat. Many people, who can see that having thermal mass inside a house will help to keep it warm in winter, think that the thermal mass will make it hard to keep the house cool in summer. They see many brick and brick-veneer houses in which thermal mass is exposed to the intense heat of the summer sun. In that case, thermal mass material does no good. In this graph, I have used my last twelve months of temperature data to show the benefit of well-insulated thermal mass in summer as well as in winter. I have now 15 years of January average temperature data for my house at Manilla, North-west Slopes, NSW. These graphs show how the house temperature relates to the outdoor (or ambient) maximum, mean, and minimum temperatures. In January (the hottest month) the rooms* in this solar-passive house do not heat up much during the day, nor do they cool down much at night. Since the indoor temperature always rises and falls just one or two degrees from the mean, only the mean is shown. Green lines on the graphs, which are drawn to pass through the middle of each cloud of data points, show by how much (on the average) the indoor temperatures have differed from the outdoor maximum, mean, and minimum temperatures. On the middle graph the green line shows that the rooms have been 0.5° cooler than the mean temperature outdoors. The left graph shows that the rooms have been 8.2° cooler than the daily maximum outdoor temperatures. The right graph shows that the rooms have been 7.3° warmer than the daily minimum overnight temperatures.